High in the clouds, in the land of Etheria in Crystal Castle! lives the beautiful Princess Adora. When danger threatens, she transforms into She-Ra the Princess of Power, the most exciting and powerful woman in the universe! 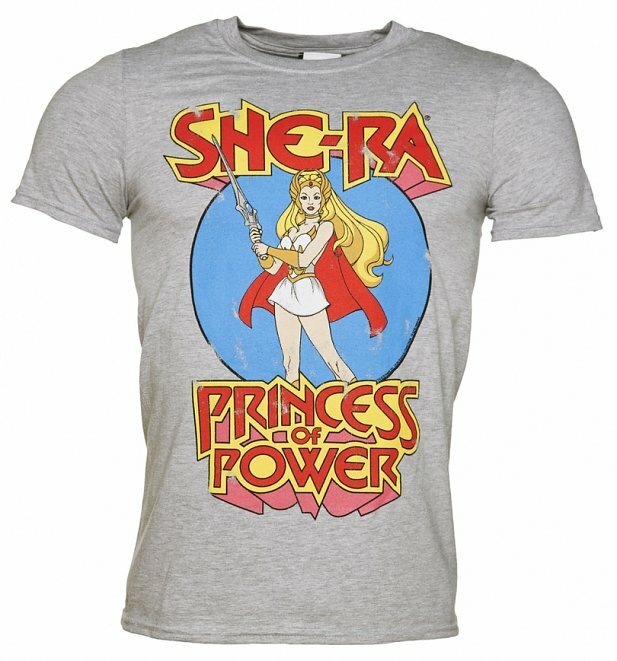 She-Ra has the power and so can you thanks to our exclusive men's tee starring the classic childhood cartoon heroine. Review: Awsome tshirt. Super fast Shipping:) Exellent to do buisness wirh. 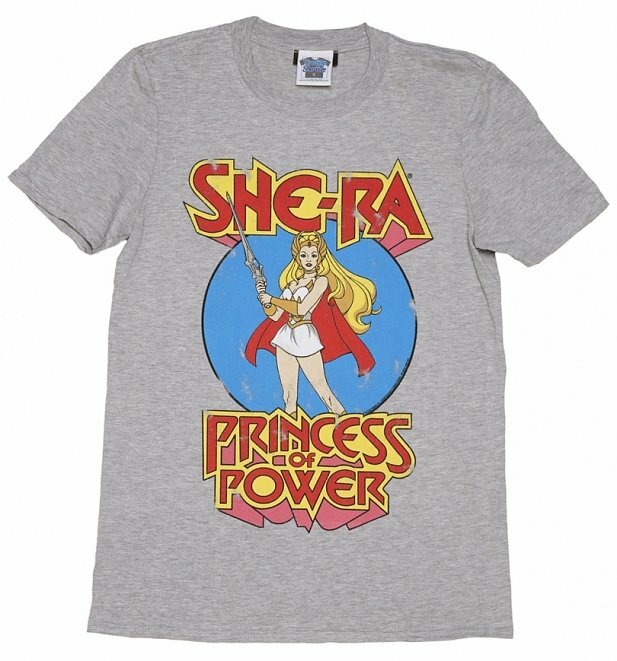 9062Mens Grey Marl She-Ra Princess Of Power T-Shirthttps://www.truffleshuffle.co.uk/product_images/TS_Mens_Grey_Marl_She_Ra_Princess_Of_Power_T_Shirt_19_99_1.jpg19.99GBPInStockGBP/mens/t-shirts-and-clothing/t-shirts-and-clothing/t-shirts/80s/cartoons/cartoons/he-man-and-the-masters-of-the-universe/t-shirts-and-clothing/t-shirts/classic-tee/cartoons/she-ra-princess-of-power/games-toys/grey/truffleshuffle/exclusive19.9900High in the clouds, in the land of Etheria in Crystal Castle! lives the beautiful Princess Adora. 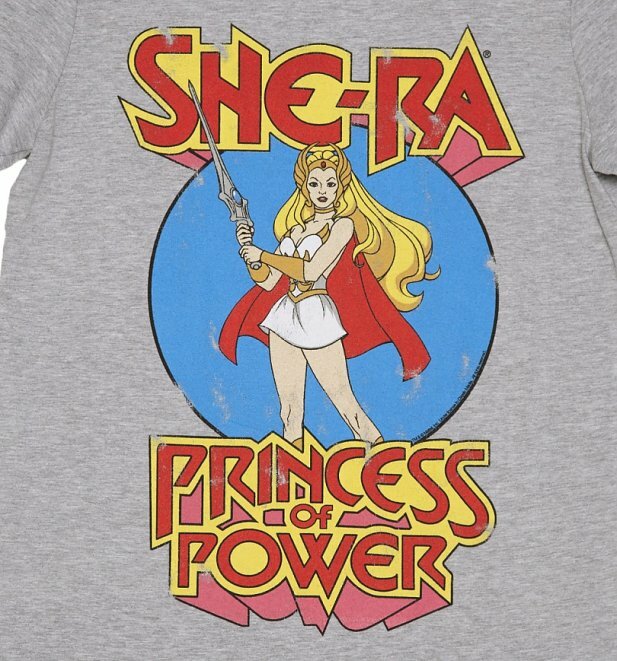 When danger threatens, she transforms into She-Ra the Princess of Power, the most exciting and powerful woman in the universe!